So what does all this mean for your church? You may initially think it means that anyone in your church who owns Nintendo stock could be tithing more in the near future! 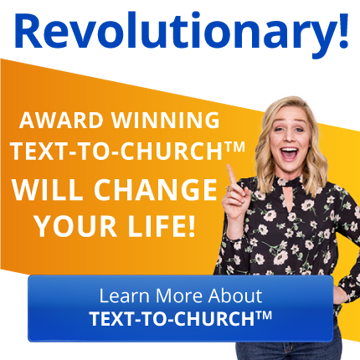 Let's hope so But seriously, this addicting game can translate into reaching more people for Christ if your church is not afraid to experiment. Before experimenting you should know some Pokemon Go basics! In the app many churches are either Pokestops or Pokemon Gyms. What's the difference? A gym is a place where players come to battle with their Pokemon. As players help hold gyms from competing teams, they earn rewards. A stop is where players visit to collect necessary items like pokeballs, healing potions, and pokemon eggs. Make it known on social media that your church is a gym and that you have gifts for those who come to your location to do battle; players just need to drop in and ask about the gifts. Consider giving players a custom patch or sticker with Pokemon imagery and your church logo. Give one Pokemon card to each visitor and a full pack of Pokemon cards to every 10th visitor. Order a bulk batch of mini Pokemon figures online and give one figuring to each visitor. ALONG WITH EVERY GIFT GIVE AN INVITE CARD TO YOUR CHURCH with upcoming sermon topics, or church calendar items that would be of interest to people in your community. The point is to think creatively and get people to come into your building rather than just visiting the parking lot. If they come in, you'll have an opportunity to greet them warmly and invite them to attend your church. Use lures. What's a lure? In the game any player can drop a lure on any Pokestop and wild Pokemon will be drawn to that stop for 30 minutes. Every player benefits from this because they just need to be near that stop so they can collect the many Pokemon who show up. Your church can buy lures in the game and then place them on your church's Pokestop. But don't just do this randomly, do it strategically. Tell your church that you're having a Pokeparty on a specific date and time. During the party, your church will place a new lure on the stop every 30 minutes. Anyone in the community who comes by will not only benefit from the lures, but they will be invited to eat free hotdogs, meet new people, sign up for give-aways, and play on giant inflatables. Have your church members float around during the event engaging people in friendly conversation. Invite the guests to church and give them all free Pokemon-related gifts like those mentioned above. Keep an eye out on the Pokemon Go Support Page. From time to time, they will take requests for new stops and gyms. Requests fill up fast as the company gets inundated with them, so they take the request form down when they are full up on requests. This might be frustrating for you, but that's no reason to fret! Ask a local business who is a gym or a stop if you can sponsor their location. Consider providing gifts for a business's Pokestop just like you would give them away at your church. Consider sponsoring a Pokeparty for a business and throw the party in their parking lot rather than your own. In some ways, these are better options that if your church was a stop or gym because you'd be helping a local business while still reaching out to the community and inviting them to your church. The point of this article is simply this: do your best to understand how Pokemon Go works and use that knowledge to expand your church's reach. It's the biggest app-sensation ever and Christians would be foolish to let these opportunities slide!